Start-up need to build efficient online presence across the web. There is a huge competition in the digital advertising and marketing today. E-commerce was also raised, and there are some infinite numbers of strategies and tactics are following by the various companies to get successful online. Many businesses have successfully built their name and fame across the platforms by utilising the various tools, platforms and other resources. 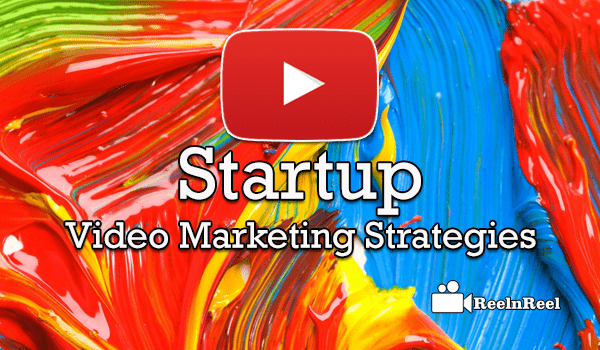 Here is the good guide to the startup video marketing strategies. Every start-up marketers are generally in confusion state and began to worry about the subscribers, views, page rank, ROI etc. Utilize the various tools on various social platforms like YouTube, Facebook, and Twitter, live streaming applications etc. several ad formats are available for your start-up promotion. So, make a right launch using the live streaming applications like Periscope, Meerkat, YouTube live etc. Do not copy and do not tense while creating the video. It is the quality that matters but not the quantity. So, focus on good quality video content and create attractive and unique content which can grab the search engine ranking. Also, create proper thumbnails which are the first impression of any video content. Make it more relevant and exciting to your audience. Try to build right community on YouTube platform and also utilise the real view and Shoppable video ads for your start-up promotion. Measure your metrics of the video engagement and opinions by using the Google analytics. Interact with the audience across the multiple social media platforms like Facebook, Twitter, Instagram etc. discuss your video on the blog and interact with the viewers. The return on investment plays a significant role especially for the start-up companies in digital marketing and advertising. It ensures the viability of business for long term. It is not at all sufficient to build the margin on product or services but can be useful to make decisions on allocation of the resources that required for the marketing and advertising. So, the measure of ROI can impact on the present status of the start-up business. When you just start a new business, there will be more time in your hands, and it is one of the reasons why business marketers are not utilising their time due to overconfident sometimes. But, the ROI can demonstrate the value of your investment in the present market. It also enables the new marketers to take efficient decisions on further investments and returns. The perfect measure of ROI for the video marketing can also allow the startups to lead the video marketing world today. The total views, paid and organic view count is also comes under one of the metrics of the Video ROI in the start-up marketing. Start-ups may not be a step further increase in ROI, and it takes some time to boost up the things in right way. Demographics and video engagement rates also revealed the ROI of your startup video marketing. The number of shares, downloads, views, subscribers were even can be calculated along with the length of the video viewed most and the cost and pay per view can be included in the calculations of ROI in video marketing. Explainer videos have become the most important tool for marketing, especially for the start-ups. Your start-up must overcome some challenges across the web to build the status. An explainer video is beneficial for the start-ups to establish the name and to generate the message directly and understandably. The start-ups can have food control over the context they are targeting and the message they want to convey to the audience. These explainer videos also bring good awareness on SEO and conversions. Here are some detailed reasons why startups must get connected with the explainer videos. The explainer videos can enhance the better understanding of the product or service information about your start-ups within seconds. The video content can attract the people very easily and draw their attention towards the site. It allows the SEO strategy as it can stamp your presence on various search engines as they are more interactive. It boosts up the marketing campaigns and increases the click-through rates. The animated explainer videos can allow building up a personal brand across the web. You can use different types of animated approach with audience and can also design the brand in the video and convey the brand message more efficiently with the explainer videos. Explainer videos can drive the viewers towards your site as it is essential for a start-up to build the viewers. The audience can get anything from within the video. The explainer videos also boost the sales potential of the video. It is not only just explains the product it can build potential relationship between the customers and drives more visitors towards your website. It is essential to stand out of the crowd in online business. Especially for the new start-ups, it is the challenge to get proper exposure to their video content and to stand out from the rest of the videos in this video ocean across the web. Video has already integrated into the marketing and advertising strategies. Now, the marketers are targeting the content and planning a vital strategy to build their audience for their brand start-up videos. Identifying among the millions is essential. Here are the critical ways to create food exposure to your start-up videos. Social presence is very important today as more than 50 percent people in the world were making purchases via online market exchanges. People are connected to the internet world and have become their part of the life activity. So, create social accounts in the name of your start-up and start connecting with the people across the world. Many new start-ups are in rush of producing the original content to grab the attention of the audience. But it is not the right way. Always create compelling content and relevant content for your video exposure. Add thumbnails relevant to the content which can give the first impression on your video and helps in building good expire to your videos. Also, add annotations and the active call to actions and if necessary allow the audience to get connected with your company by posting links or buttons to join toy on social media platforms. Go with SEO to optimise your page rankings and promotions if necessary. There is some number of start-ups are entered the marketing world today and leading at their own pace by competing with the other companies across the web. The competition gradually increased in the video marketing. Advertising is not too easy so trying to stamp the own presence, and the virality is too complicated to reach. Viral videos are nothing but the videos which can be viewed by more number of viewers within a concise time can be called as a viral video. All videos cannot turn as viral videos, and it depends upon the content, quality and nature of the content presentation to the audience plays a role. Here are some important t video viral marketing strategies for the start-ups. Think out of the box ideas without crossing your primary target of the marketing. Innovatively elevate the plan to reach the audience effectively. Create the proper quality video to adequate identity among the other videos. Go with appropriate Metadata, tags, titles, description, translation, closed captions etc. to your video which can increase the exposure in search engines. Never forget to create the video by including the trending events. A viral video is straightforward to understand, and it is very interactive. So, make your video interactive and include the most searchable keywords in the data. Share your video across the multiple platforms like Facebook, Twitter, Instagram etc. to make it more visible in search results. YouTube is the most significant destination for the video content across the web. The YouTube videos always are of the first rank in search results. Some thousands of start-ups approach the YouTube for their marketing and advertising. Many start-ups have turned as big brands across the platform and marked their name across the countries by utilising the YouTube platform as their primary medium to reach the audience and to develop their companies. So, here us the best guide which can guide your start-up for the YouTube advertising. Create the YouTube channel in the name of your start-up and add the right description about your company and the services or products you offer. Also, post some links that can take the audience to know more about your start-up across the web. Utilize the keywords that are in use and utilise them in the YouTube videos. Consistency is essential and in maintaining the right YouTube channel to build better YouTube community which can play a vital role in the success of your video marketing for your start-up on YouTube platform. so, go with the publishing of service videos which are interactive, useful as well as entertaining to the audience. Get connected with the audience on other channels and invite them to view your video content. Include strong call to actions along with the subscriber button with attractive video thumbnail which is relevant to your start-up theme. As you a start-up it is better to use the Trueview video ads for promotion of your start-up. The true views in a stream and display video ads are more engaging ad formats on the YouTube platform. Also, cross promote your video content on other social platforms to make them more shareable across the web.